Boil the kale in salted water for 10 min then drain in a colander (it will shrink somewhat). In a hot pan, add olive oil and onion, let it soften for 5 min. Add garlic and red pepper flakes and let smoke for 1 min. 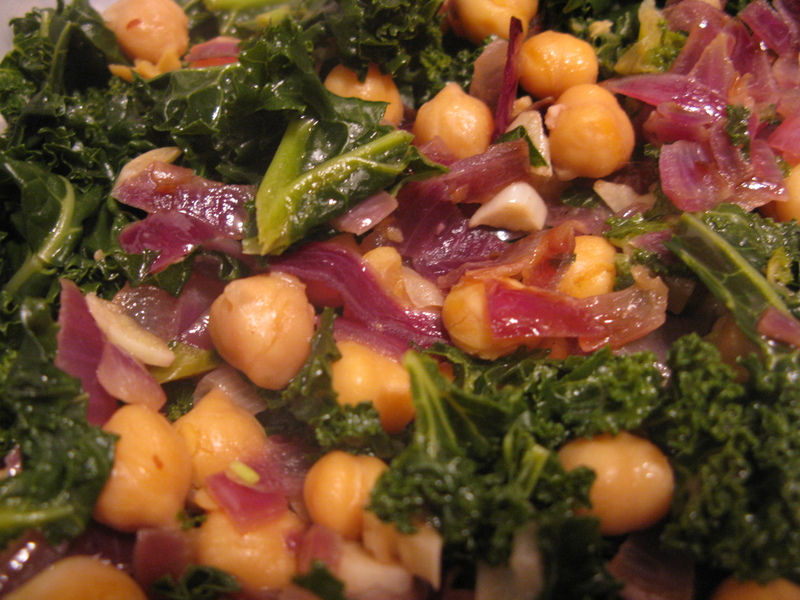 Add kale and cook for 2 min, add chickpeas and let warm up completely. Remove from heat, add red-wine vinegar and salt, and mix well.